EmSculpt® is the latest technology to tone and sculpt the most stubborn of areas. Body contouring specialist Dr. Katina Byrd Miles of Skin Oasis Dermatology offers personalized EmSculpt packages to both burn fat, as well as to build up muscle mass. Find out if EmSculpt is right for you by booking a consultation at this state-of-the-art Gambrills, Maryland, dermatology practice. Schedule your visit online, or call the office directly. What happens during an EmSculpt session? Although the entire EmSculpt treatment gives you the results of working out intensely for months on end, all you have to do is lie back and relax. During your session, the EmSculpt pads deliver safe waves of electromagnetic energy. Because your muscles are contracting and working hard, you’re going to feel tightening with each mild tingling sensation. Dr. Miles gradually increases the intensity (as tolerated) to force your muscles to work even harder. Though parts of the EmSculpt treatment can be a bit uncomfortable, Dr. Miles monitors you every step of the way and can make adjustments if the sensation is too much. Toward the end of your treatment, Dr. Miles gradually decreases the electromagnetic signaling. This forces your muscle contractions to slow down, which helps disperse and flush away toxins. Which areas can be treated with EmSculpt? Each EmSculpt treatment at Skin Oasis Dermatology takes about 30 minutes and requires no downtime, so you can go right back to work or your daily activities afterward. When will I have results after EmSculpt? Dr. Miles tailors your EmSculpt treatment package to your specific needs and desired outcome. Most men and women need a package of four EmSculpt sessions to achieve optimal results. Plan on scheduling two EmSculpt sessions a week for two weeks in a row. 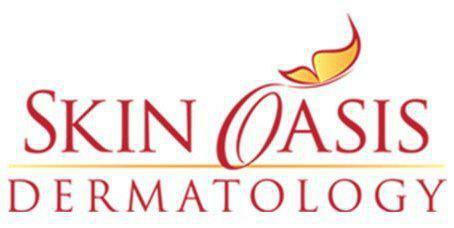 Even though you’re highly likely to experience an improvement in your treatment area shortly after your first session, it’s important to stay on schedule and continue coming into Skin Oasis Dermatology to get the dramatic improvement you want. Get started on your path to a firmer, more toned physique by booking an EmSculpt consultation at Skin Oasis Dermatology today. Schedule online or over the phone. Read more about EmSculpt at marjanne.co!